Still looking for various channels to increase your store/brand exposure? 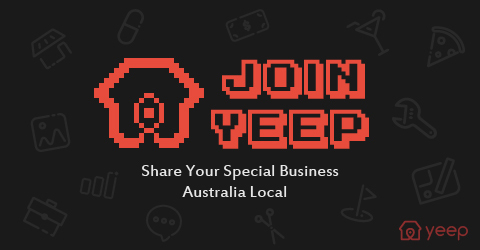 Yeep, the local directory for Australian business, aims to work together with you to make your business grow. Our team endeavors to meet user challenges by constantly upgrading the website. Now, we are honored to introduce the new ARTICLE channel, which is designed to increase your store/brand awareness. We will tell you how. Basically, the article section allows business users to submit their articles and get them published on Yeep homepage (once approved). The post will reach our big user base and therefore the author (your store name) will be well-known by Aussies. On top of that, the following tips may gain brand awareness as well. Submitting quality articles/blogs will be most likely approved by our team. Write as much as you can and get them promoted on Yeep. Click “Article” and start to compose your article. In order to maximize your article exposure, we’ve designed a conspicuous Articles section at Yeep Homepage to display the approved ones. In the content page, your name and linked store(s) will be addressed to acknowledge your intellectual property, as well as to promote your store. In addition, we will also get them published at Yeep Blog under Community. With all these have been done by Yeep, you need one more step to spread your work – share the post to your SNS pages, such as Facebook, Twitter, Blog and whatever you have! All in all, this article aims to introduce our new Article channel, which was broadcasted in our previous blog Aggressive Step Forward for Amazon’s Entry to Australia | Get Prepared on Yeep. We’ve also prepared some handy tips to make your writings widely viewed, and therefore to increase your store/brand exposure. Don’t hesitate to join Yeep now, if you still haven’t, start blogging and work hand-in-hand with us to achieve your business ambition! PS: There are certain rules to follow before submitting your articles. Feel free to check the Content Guidelines for more detailed information. Since announcement of Amazon's entry to Australian, the US online retail giant has made several moves, such as settling on first fulfillment centre, recruitment, calling businesses to join Amazon Marketplace etc. To win the battle, start to get yourself prepared on Yeep.